UW-Milwaukee / MPM Museum Studies students develop an exhibit from inception to completion. Exploring Latin America: Here, There, Everywhere is the culmination of the University of Wisconsin-Milwaukee/MPM Museum Studies Program, a two-year graduate certificate program collaboratively hosted by UW-Milwaukee and the Museum. In the final semester of the program, students are tasked with developing an exhibition with MPM staff from conception to installation. Explore the different landscapes of North America and learn about some of the earliest people who populated our wild lands. The North America exhibit area is located on the second floor. Witness the changing landscape of North America and variety of flora and fauna that lives in far-flung environments, from the grizzly bear and Sitka spruce of the Northwest Coast to the American Crocodile of the mangrove thickets of the Everglades. 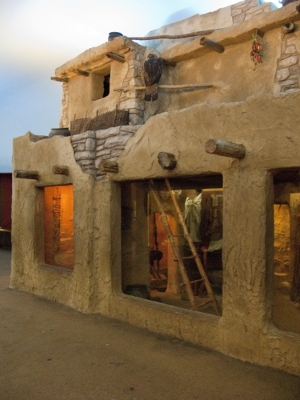 Visitors will also learn about native peoples sprinkled across the United States, and the variety of dwellings used by these peoples, from round earth lodges to pueblos. In October 2011, a green roof was installed on the tallest section of the Museum building. 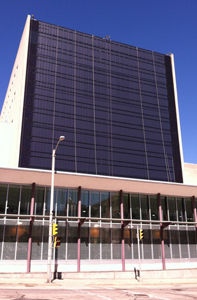 In October 2014, our enormous five-story solar wall went "live." Drums lead the way through these island chains where you'll make many discoveries. The Pacific Island exhibit area is located on the third floor. Set sail and take in the colorful island life of the Pacific Islands. Drums lead the way through these island chains where you'll make many discoveries - from the rituals of the Papuan Men's House to the beauty of Samoan dance and the mysteries of Easter Island. Learn about the practice of headhunting in Melanesia, and marvel over masks and river art of the Sepik peoples of New Guinea. Experience something of the life beneath the ocean's surface and learn about the dynamics of this underwater world. This exhibit is located on the third floor. The Living Oceans exhibit gives visitors the opportunity to experience something of the life beneath the ocean's surface and to learn about the dynamics of this underwater world. After climbing the stairs, you will begin an imaginary voyage past different ocean habitats from the shallow waters under a Caribbean pier down to the sunless zone of luminous fishes as seen from a bathysphere. Trek through the Wisconsin Woodlands to learn about the flora and fauna of our great state. Located on the second floor. Explore the fens, forests, oak barrens and meadows of Wisconsin, then visit the Birds of Wisconsin display with more than 75 mounted specimens of rare and common birds. Mounted Wisconsin mammals are also on display. In addition, visitors can explore the habitats of Wisconsin's Woodland Indians, and see excellent examples of porcupine quillwork, beadwork, weaving and other crafts. Learn the history of the American Indian through exhibits such as "The First Americans" and "Outnumbered and Outarmed." This exhibit area is located on the second floor. This exhibit's centerpiece, titled "Indian Country," features a modern pow-wow grand entry scene with 37 life-sized figures dressed in colorful dance attire. These figures move on an enormous turntable around singers at a drum and pass through areas of theatrical lighting accompanied by the sounds of American Indian music. Learn how Museum scientists work to understand, preserve and even restore our planet's rich diversity of life. Located on the first floor. Experience the incredible story of life on Earth and how Museum scientists work to understand, preserve and even restore our planet's rich diversity of life. This exhibit is located on the first floor of MPM, surrounding the Grand Staircase. The Puelicher Butterfly Vivarium is a two-story sensory wonderland filled with free-flying, live butterflies. Located on the Museum's first floor. Transport yourself to a sensory wonderland. Stroll through a lush, tropical garden. Hear the murmur of a cascading waterfall and the soothing sounds of tranquil music. Watch as exotic butterflies emerge from their chrysalises and sip nectar right before your eyes. See a scientifically accurate re-creation of Milwaukee's beloved gorilla Samson. Located on the first floor. For more than 30 years, the Milwaukee County Zoo was home to one of our city’s most famous residents -- a massive male gorilla named Samson. 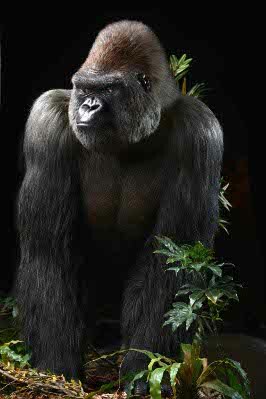 A silverback (adult male with silver-gray hair on back and shoulders), Samson was noted for banging on the windows and steel door of his enclosure to get visitors' attention.